A worker walks past an SSE van outside the Pitlochry Dam hydro electric power station in Pitlochry, Scotland, Britain, November 8, 2017. SSE said on Sept. 12 that its adjusted operating profit for the six months to Sept. 30 would be around half that seen in the same period of 2017. The UK utility blamed “relatively dry, still and warm weather” and persistently high gas prices, resulting in a higher cost of energy than expected and lower volumes of energy being consumed, as well as lower than expected output from renewable sources. Adjusted operating profit would therefore be 190 million pounds lower than planned, it said. 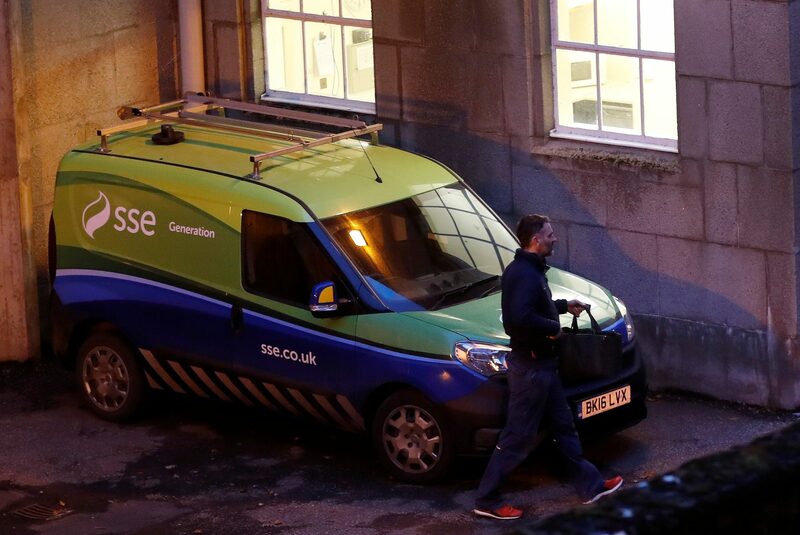 SSE also said that UK regulator Ofgem’s proposed tariff cap would mean that adjusted operating profit for SSE Energy Services, its retail arm, could be significantly lower this fiscal year than expected at the start of the year. SSE shares were down 8 percent to 1,152 pence at 0840 GMT on Sept. 12.